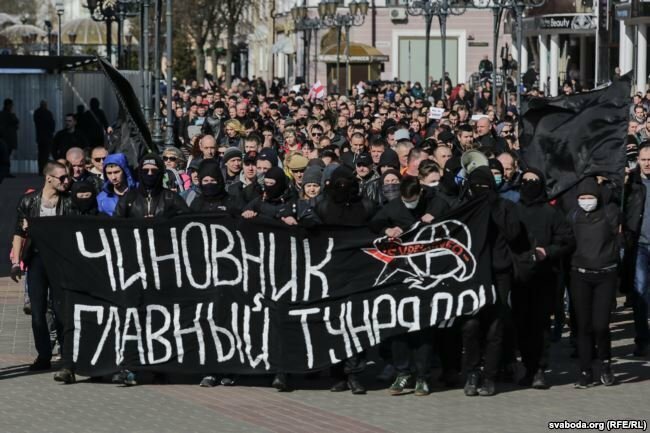 BelarusDigest > Politics > Belarusian anarchists: Lukashenka’s political opponents or criminals? On 5 March 2018, Siarhei Kavalchuk, a little known employee of the Presidential Security Service, became the Minister for Sports and Tourism. This and other appointments have virtually transformed key elements of the Belarusian state apparatus over recent months. The personnel rotated include heads of major TV channels, a major publishing house, a government-controlled public association, two ministries and two special services. Although the reasons for each appointment were multiple and often unique, one can see well-recognisable patterns in play. First, the expansion of the president’s “bodyguards” – the Presidential Security Service – fits into a pattern. In late 2017, the head of the service Andrei Paŭliučenka became head of the Operation-Analytical Centre (OAC). A special service set up in 2008, the OAC performs protection measures with regard to the state secrets and other classified information. Moreover, this agency bears responsibility for monitoring internet communications and has become an active player in the government’s policy for regulating the internet. Direct evidence indicates that OAC coordinates the work of all special services and possibly monitors the activities of higher level officials. Until the end of 2017, Siarhei Shpiahun, a person close to Viktar Lukashenka, the president’s elder son working as his aide for national security, headed the OAC. However, the president severely criticised the agency’s leadership in the middle of November 2017 for poor performance and collusion in corruption. After this, a team from the Presidential Security Service replaced the incumbent managers. The Presidential Security Service came under the control of Paŭliučenka’s former deputy, Dzmitry Shakhrayeu. Alexander Lukashenka appointed another veteran of the service, Mikalai Latyshonak, as his aide for general issues in February 2018. This seemingly unimpressive position actually makes Latyshonak the head of the president’s secretariat. He will perform as a major “filter” of information flows destined for Lukashenka and “the gatekeeper” for high-level officials seeking a personal meeting with the president. 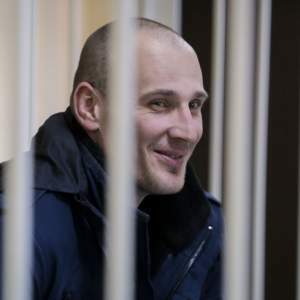 Yet another of the “president’s bodyguards”, Siarhei Kavalchuk, became the Minister for Sports and Tourism. His predecessor, Aliaksandr Shamko, was fired after “failing to take effective measures to counter corruption” in the area of his competence. Media management rotation stands out as another prominent features of the recent reshuffle. This included the retirement of Paviel Jakubovič, the iconic editor-in-chief of the major state newspaper SB-Belarus Segodnia and the head of the media holding comprising a number of other state outlets (including newspapers and magazines) and a radio station. Jakubovič bore the unofficial title of the most influential intellectual in the establishment, often performing as the president’s personal advisor and speech-writer. Dzmitry Zhuk, the long-time head of the state information agency BelTA replaced Jakubovič as head of SB-Belarus Segodnia. His appointment clearly shows the priorities of the authorities. They want to use the potential of the state printed media in order to balance information flows on the web where the state still remains on the defensive. Another ex-BelTA manager and specialist in internet communications, Ihar Lutski, left the Ministry of Information where he had been working as the deputy minister, to take up the leadership of the STV TV channel. The latter has underperformed recently. The new director, who replaces an old-style and Russia-leaning Jury Kazijatka, will struggle to deliver results both as a TV and internet communications manager. A further important recent appointment included the promotion of the former deputy head of the National TV and Radio Company (NTVRC, the state’s biggest media holding), Ivan Eismant, to that organisation’s leadership position. He replaced Hienadź Davydźka, who moved to head the public association Belaja Ruś, the largest Belarusian GONGO. Eismant’s appointment marks an important trend in the Belarusian media-sphere: the expanding influence of the president’s spokesperson, Natallia Eismant (Kirsanava), a former employee of the NTVRC and wife of Ivan Eismant, the new head of NTVRC. Rumours suggest other recent appointees are close to her: namely, the head of the National Press Centre Volha Shpileuskaya, the head of the president’s Protocol Service Darja Šmanaj, and the new leadership of the ONT TV channel. It is also worth noting that in the framework of the reform of the Presidential Administration in early 2017, the spokesperson received considerable new powers including oversight over all state media. An obvious dimension to the named appointments stands out: the rise in influence of the Presidential Security Service and the president’s spokesperson (see the charts). Another, no less obvious dimension, can be discerned: the newcomers are often younger and always more technocratic and performance oriented. They have been appointed on merit, and not because of historical contexts or personal relationships (even in the case of Ivan Ejsmant). Accordingly, they will be at a greater distance from Lukashenka personally than their predecessors, who might have tended to perceive him as “an equal” of sorts. A less obvious dimension of the recent rotation is the shift of identities. At least some of the retired officials (Jury Kazijatka, Hienadź Davydźka, Aliaksandr Radźkoŭ who used to be the head of Belaja Ruś before Davydźka, former ONT head Ryhor Kisiel, and the former Minister of Information Lilija Ananič) seemed to be somewhat Russia-leaning in one or the other way. 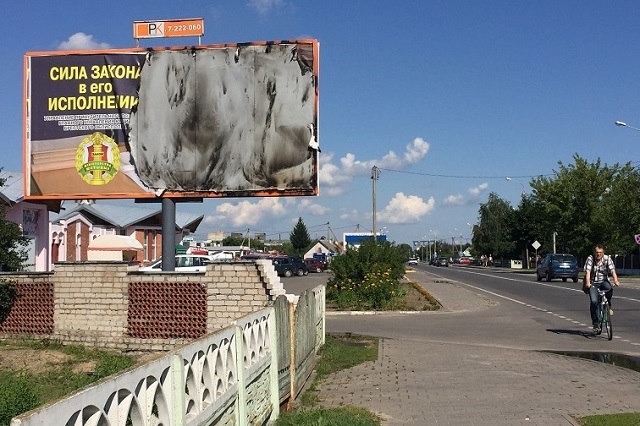 The newcomers, in contrast, attach themselves much more to Lukashenka’s Belarus than to the international context. However, the most important dimension of the reshuffling proves less ostensible. Lukashenka tries to install a new system of checks and balances. 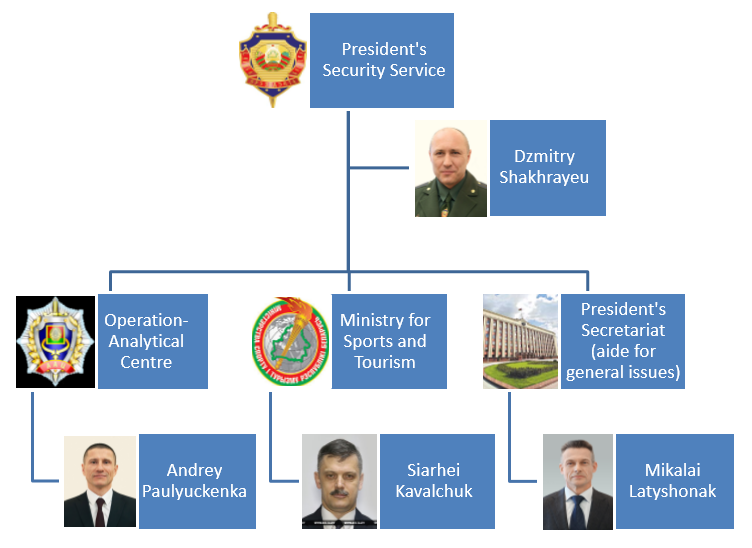 While the Presidential Security Service expanded its influence, the country’s most powerful special agency – the State Security Committee (KGB) – underwent a substantial optimisation process. The agency downsized and its capacities somewhat reduced. Meanwhile, the budget spending for the OAC in 2018 increased by 42%. 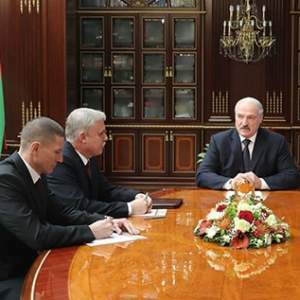 As the Kremlin becomes increasingly aggressive and Belarus-Russia relations find themselves at a new low, Lukashenka seems eager to have a more balanced and professional state apparatus in the wake of 2019–2020 political campaigns. Will this strategy entail higher efficacy and help him to avoid a new political crisis? The answer will probably be clear by the end of 2018.